Nice, but more of the same? Apple officially unveiled the newest iPhone at an event today in San Francisco. 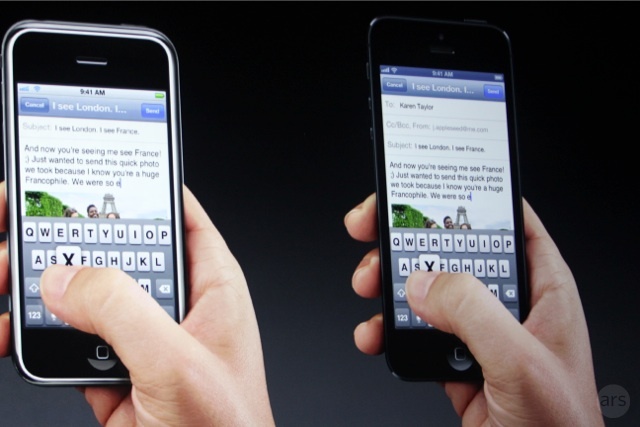 The iPhone 5, which has a taller and narrower screen than previous models, will ship with the latest version of Apple's mobile operating system, iOS 6. The phone measures 7.6 millimeters thick and weighs 112 grams, which is 18 percent thinner and 20 percent lighter than the iPhone 4S. 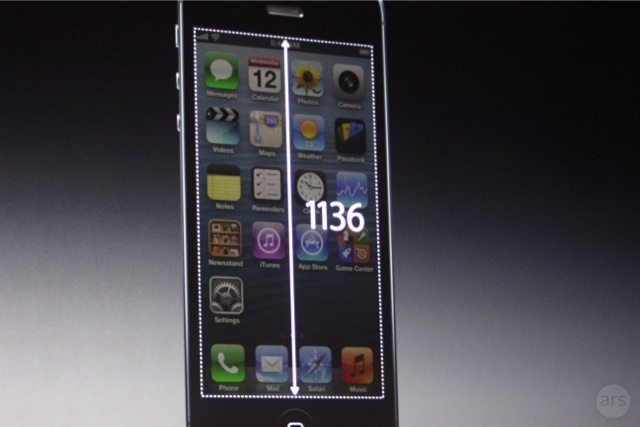 The iPhone 5 retains the retina display pixel density of the iPhone 4S at 326ppi, but it now has a 4-inch 16:9 display at a 1136x640 resolution, with 44 percent more color saturation than the 4S. Because of the added screen real estate, the phone can now show five rows of icons on its home screen. 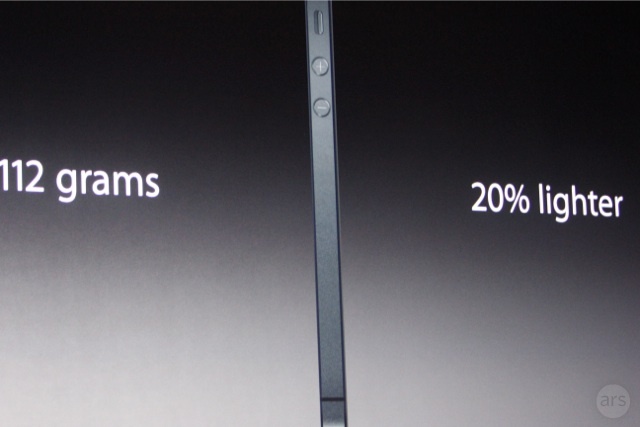 The new iPhone applies black bars to the sides of the screen for apps that aren't updated for the new resolution. Phil Schiller, Apple's senior vice president of marketing, noted that many of Apple's own apps, including iWork, GarageBand, and iMovie have been updated for the new screen. For apps that have not been updated to the new display resolution, Apple says it will either center the apps or "subtly place black borders on each side."